Stewart has recently completed a Report to Lockheed Martin Corporation, Skunk Works, Palmdale California for global uses of their Hybrid Airship. 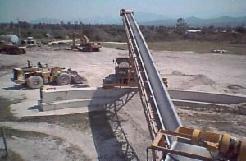 The principal use is in building remote extractive industries worldwide. A prototype airship has been designed, built, tested and certified. 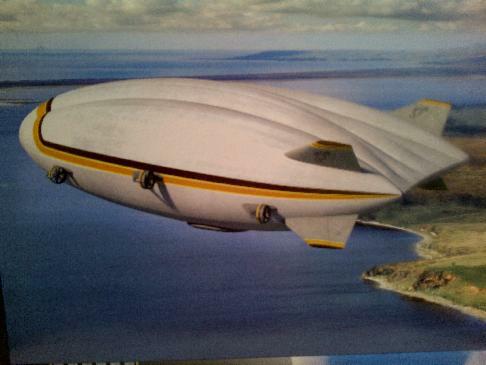 A 20-500 cargo airship design is underway. 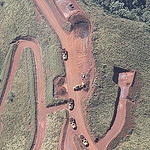 The first test case will be in building the extremely remote $20 billion Simandou Iron Ore mine in Guinea, West Africa. Capable of accessing these locations without the cost of building expensive infrastructure such as roads and railways, the airships can land 20-500 tons of construction equipment and mine material without the need of an airport either. This saves billions of dollars of cost and years of time to get products to global markets. 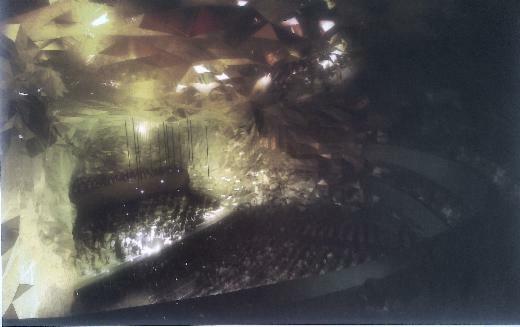 The airships allow major projects to be built in parallel, as opposed to the conventional approach which builds each phase in series. A dozen construction sites can be accessed simultaneously and built at the same time. 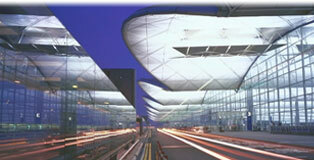 When completed, the entire project starts years sooner and millions of dollars saved in construction costs. This includes the cost for finance which for projects over $10 billion, is substantial. 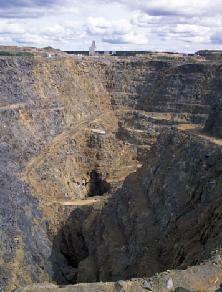 This will revolutionize the mining industry worldwide. The airship can be used as an emergency health care clinic, hospital and medical research operation. Given the Ebola Epidemic underway in West Africa, it is considered to be a perfect functioning vehicle to help end that epidemic. Stewart is now putting full time activity into the development of the Heaven's Gate community above Fernie, British Columbia, Canada. The former mining town in previous centuries has become one of the finest destinations for the world for powder snow, mountainous sporting activities including downhill and all Olympic discipline and recreational skiing, snow boarding, and cross-country skiing. Champion. The course will include a new functional design to appeal to all golfers at every age and standard of play from juniors to seniors, amateur to PGA level professionals, a Soren Hansen Golf Academy and Club House with 21st Century technology. Cedar log homes, a College campus teaching Entrepreneurial and Environmentally friendly skills to suit the modern world will focus on teaching the next generation how to lead governments, corporations and professions with the highest of probity, integrity, transparency and ground-level basic openness and honesty. See the web site for details, maps, photos, and plans. 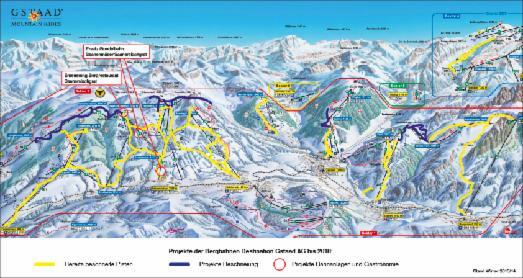 A Master Plan (2014-2050) for the future development of Saanenland in the Bernese Oberland, Switzerland. Robert Stewart has created a Master Plan (2014-2050) to build all the major infrastructure necessary for the future development. 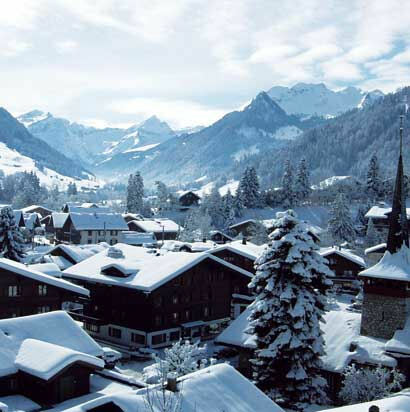 This world famous ski resort centred around the villages of Saanen, Gstaad, Rougemont, Schoenreid, Saanenmoser, Gsteig, Les Diablerets, - the seven local villages which operated mainly as a farming community for the past 1000 years and a winter ski resort for the past 100 years. It has attracted a world-class following. 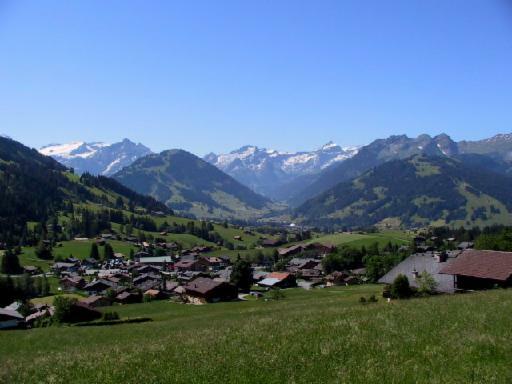 The area combines several villages such as Les Diablerets (Glacier 3000) Gsteig, Gstaad, Zweisimmen, Saanenmoeser, Schoenried, Saanen, Rougemont, Lauenen and Chateau D'Oex. Skiing and snowboarding have grown with dozens of other outdoor national and international sporting activities including polo, tennis, beach volleyball, schwingen, spectacular annual music festivals (Menuhin Classics and Country Music) and dozens of others like gliding, para-gliding, mountain biking, hiking and climbing throughout the year. The fusion of historic traditions with modern, updated year-round facilities, better infrastructure in transport, power, healthcare, schooling and entertainment, creates an attractive and forward-thinking community that will not only retain its future generations but be a role model and beacon to communities worldwide. New ski lifts, waterworks, sewerage facilities, apartments, and a modern pensioners home are being built. New road works, tunnels, diversions and other projects have been added. To meet demand for more housing and better transport serving all the communities, several new infrastructure projects are planned and must be built in the next few years to handle the growth. Several new lay-bys can speed up traffic giving farmers additional lanes alongside heavy year-round tourist traffic. Tractors, hay wagons, cattle and farm implements can move quicker, safely with all the increased bicycle, truck, car, motorcycle and bus traffic. 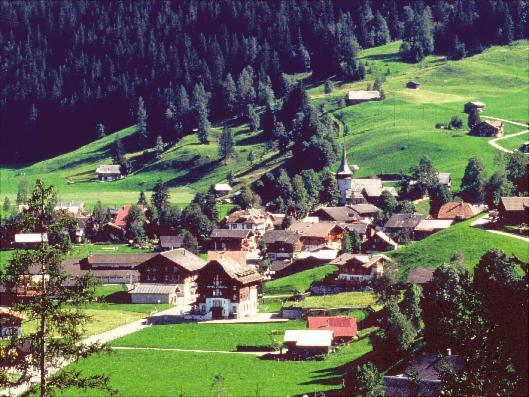 With the phenomenal summer success of the Menuhin Festival in Gstaad for the past 50 years, LesArtsGstaad have engaged architect Rudy Ricciotti to design a revolutionary, innovative Culture Center to perform music, ballet and stage conferences, lectures, meetings and shows throughout the year in Saanenland. The backbone and history of Saananland has been steeped for over 1000 years with its most important citizens, the farmers and their famous milk producers. To appeal to new generations of local farmers and entrepreneurs who will chose to live here permanently side-by-side in the future, thus doubling the size of the communities, several new additions to the present mix of farming, athletic facilities, outdoor sports activities, traditional high quality wooden housing and natural open spaces are envisaged. A small new emergency clinic should be re-opened that will cater to the tens of thousands of new visitors and local residents. The regional hospitals in Zweisimmen and Chateau d'Oex will back up a local clinic so that geriatric cases, emergency and sporting accidents can be handled more effectively bringing greater security healthcare to growing population of visitors and local residents. 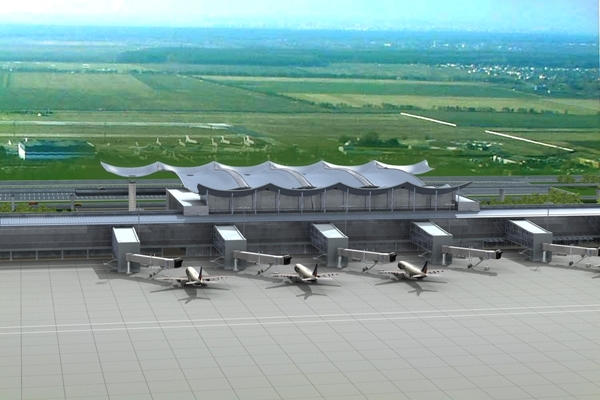 An upgraded airport can handle more private flights, helicopters, gliding, ballooning, small commuter flights from Zurich and Geneva, as well as international connections night-and-day in any weather with the addition of radar and runway lights. 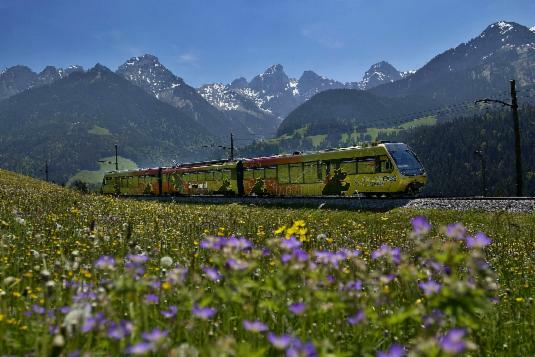 A permanent market hall attached to a new railway station in Saanen would allow local farmers and artisans sales of their famous milk products, yogurts, cheeses, meat and poultry products, hand-crafted leather, textile and wooden artifacts to visitors and local communities daily. The new LesArtsGstaad Concert Hall and International Conference Center can fill every week year-round with world-class concerts, performances of music, ballet, local arts and educational meetings alongside international business, government, academic, scientific, NGO and other conferences, thus filling all the region's hotels, restaurants and outdoor sporting venues daily over four seasons. 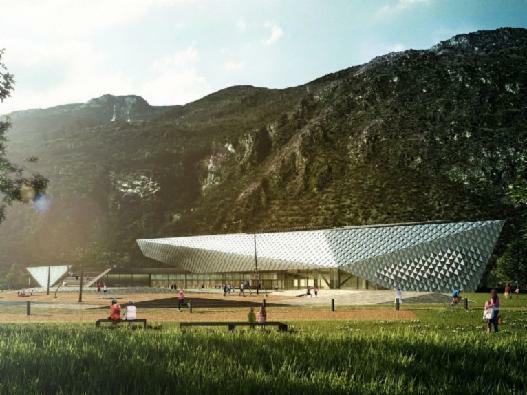 The new facility in the center of Gstaad will offer immediate and easy access to bus, train and parking facilities underground. The overwhelming success of staging local, national and international sporting events in Saanenland can be expanded year-round. 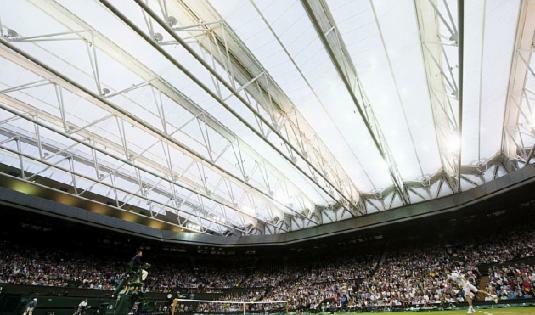 In addition to annual summer Schwingfests, the Swiss Tennis Open, International Beach Volleyball Championships, a new permanent roof over the athletic complex in Gstaad's center would allow for more year-round, weather-impacted activities. 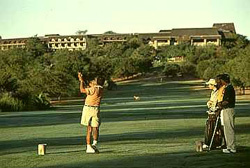 In additional to world class skiing facilities, an international Hublot Polo Tournament, biking and car gatherings, a European PGA level Golf Tournament could be staged at the magnificent golf course, more training facilities for mountain biking and racing venues, more international car rallies and races, aircraft meetings, year-round gliding, parachuting and hot air balloon meetings. The most important aspect of the plan is to maintain the rural and traditional atmosphere of the Valleys and Villages while retaining the subtle, high-quality and long-preserved architecture, respect for privacy and peacefulness of the communities. 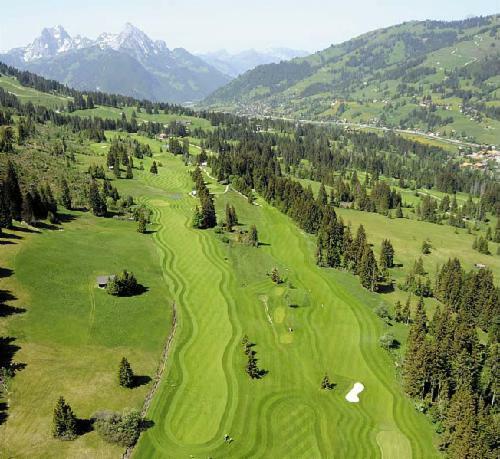 Gstaad's motto is to "Come Up, and Slow Down". This is not lost on all who visit. Soon, the message will be passed down through more generations who will seek to live in the region to enjoy its many attributes. The Community contains three internationally recognized schools. 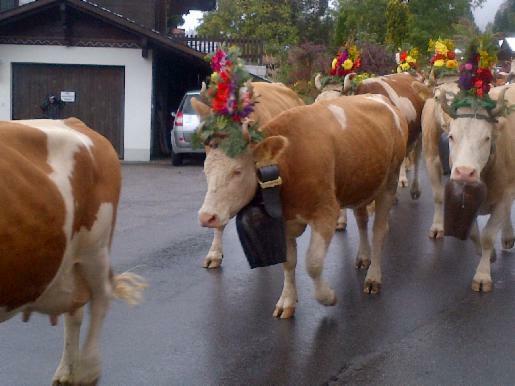 They have provided several graduates who have returned to Saanenland to holiday. Given the new technologies and transport possibilities, living here exposes vastly superior standards to large urban centres and cities. Combining a high work ethic and outstanding recreational facilities daily makes the region far more attractive for more permanent settlers from around the world. The Plan will encompass all infrastructure and activities for the next 1 to 36 years (2014-2050) in a manner that fits the challenges, demands, and future prospects for all its residents and visitors. Still considered one of the most prestigious resorts in the world, this development will not only set it apart again but act as a benchmark for the development of other permanent/resort communities around the world, a new export industry for the hospitality profession, construction companies, architects, sports facilities sponsors, and entrepreneurs of Saanenland. Robert S. Stewart is also the Chairman and founding partner of the AFRICA INFRASTRUCTURE CONSORTIUM Inc. (USA) and is designing and building several major projects in the new Republic of South Sudan (RSS). This country recently achieved its independence on July 9th, 2011. 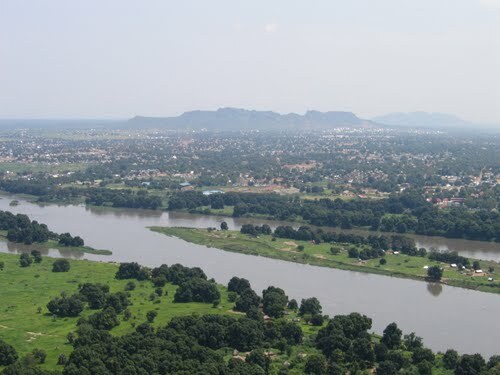 Stewart wrote the Master Plan to build its crucial infrastructure, starting with its present capital in Juba and considerable surrounding territory. 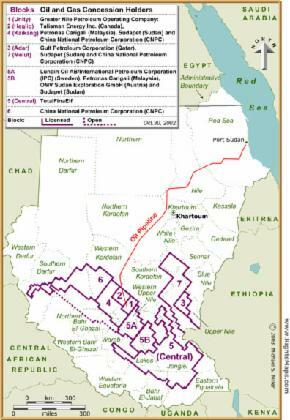 Stewart first visited South Sudan in 1969 and again from 1976-1987 while drilling for petroleum exploration with Chevron, Bechtel, DeGolyer McNaughton and others. In the 1990's, Interop flew into South Sudan with mercy flights of WFP food and medicines from Lochichokio, Kenya and Entebbe, Uganda. Unfortunately, 40 years of civil war left the region too unstable for major development. 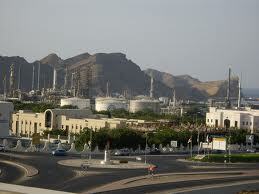 Stewart, in partnership with world class companies has designed, will build, own and operate a number of projects. These include a Special Economic Zone for agro-industrial development, housing for local communities, a Customs Dry Port, petroleum infrastructure, power and financial institutions. This will change the landscape from the present survival huts into a modern, diversified and sustainable country for the region. 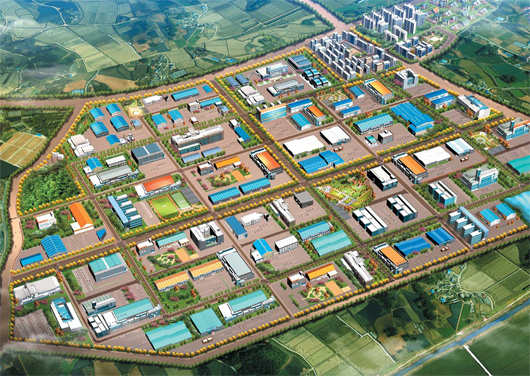 Stewart has developed a Master Plan for the Development of a Special Economic Zone (Tax Free Agro-industrial Free Trade Zone) to include an Inland Container Hub and Customs Compound, Nile River Port, new Juba International Airport/Cargo Terminal, processing plants and an additional 300,000 acres of farmlands. 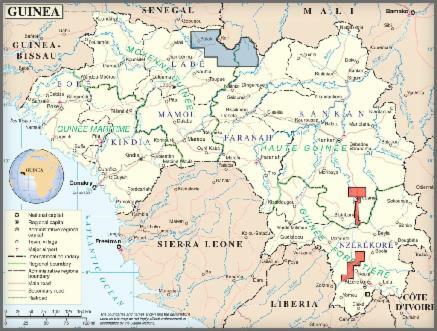 26,000 acres of land has been contracted by the Republic of South Sudan and Central Equatoria State on an exclusive 99 year lease to The Africa Infrastructure Consortium (AIC) via The Equatoria Infrastructure Development Consortium (EIDC), as partners of the Equatoria Investment Authority (EIA). 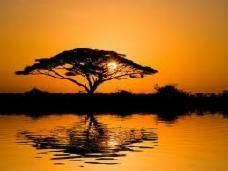 The African Infrastructure Consortium (founded and owned by Robert S. Stewart) will finance and bring investors from around the world to the Concession. 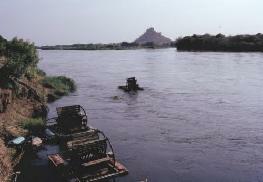 A second part of the Concession contains 3705 acres, consisting of Gondokoro Island. 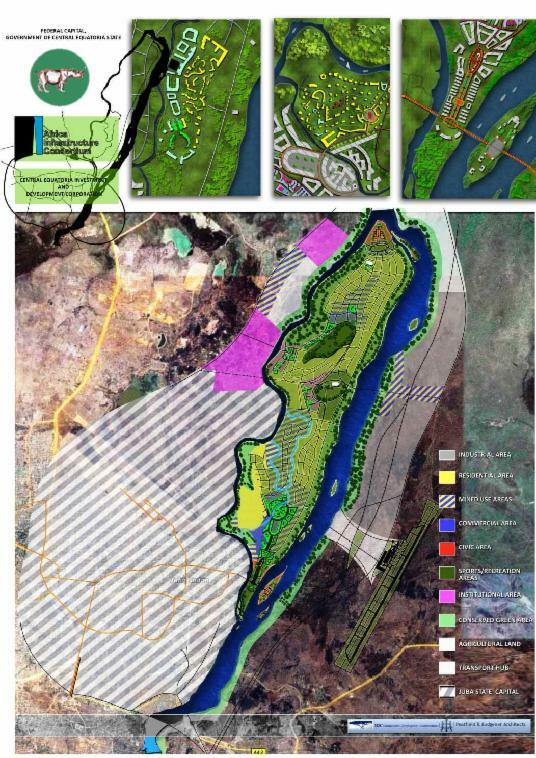 A Master Plan to develop the Financial and Commercial Capital for Juba has been completed with the substantial input of Peatfield Bodegener (architects and planners) in Kampala. This project will incorporate Branded Hotels, a University, a Hospital, Commercial Banking and Financial Center, residential and sports complexes including a National Stadium and PGA Level Golf Course. 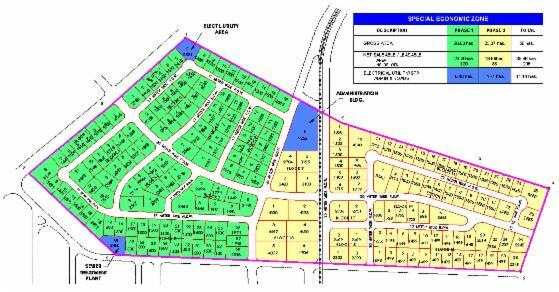 10,000 acres of new agro-industrial estates will turn the Republic of South Sudan (RSS) into the breadbasket of East Africa. 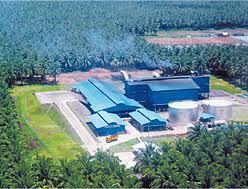 The Special Economic Zone (Tax Free Trade Area) will convert agricultural production into value-added food for export. A National Petroleum Reserve, refinery and international pipeline to Lamu, Kenya will help to build a domestic petroleum and energy industry with diesel or co-generation electrical power production. Both Consortiums will be heavily involved in developing the petroleum, mining exploration and production throughout the Republic of South Sudan. 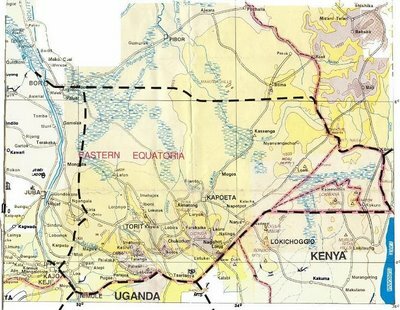 The Africa Infrastructure Consortium holds a primary position in developing the South Sudan component of the road, rail, pipeline, telecom and fibre optic Corridor from Juba to the Kenya border. 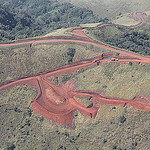 The chief role of the Consortium will be in operating and financing major projects as well as delivering acceptable Joint Ventures, clean land leases and titles, risk free concessions and operating agreements transparently and efficiently for foreign investors through the EITI (Extractive Industries Transparency International) overview. The governments of RSS and CES are full partners of the Africa Infrastructure Consortium. The agricultural region around Juba and South Sudan stand on the brink of becoming the Breadbasket, financial and commercial center of East Africa and most important petroleum and energy producer in the region. It will also be a model for economic development in Africa by promoting Tax Free Private ownership, investment and production thereby avoiding corruption, a plague in Africa. As such, it may implement a Pan African Central Bank with a new gold/petroleum backed currency to replace AID dependency and foreign handouts. Stewart continues to promote a gold-and-commodities backed Pan African currency to be called the Afro. An African Central Bank with regional headquarters would print the currency and provide lending to Commercial and Central Banks throughout the continent, guaranteeing that Africa could trade its commodities with the outside world using its own currency. Like the Swiss Franc, it would be only one of two hard currencies worldwide backed by gold, as well as Petroleum products, agricultural production and other minerals and products. Stewart has undertaken some very successful Master Plans, petroleum and mining ownerships, partnerships and consultancies. Interop successfully ran many multinational corporations over the past 40 years. This expertise helps him to run the Africa Infrastructure Consortium and the Equatoria Infrastructure Development Consortium. 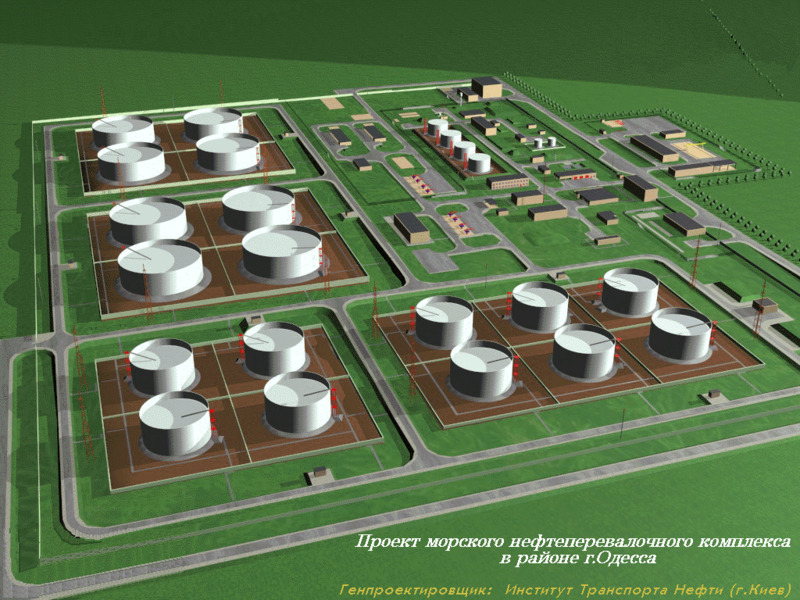 In order to do this, Stewart has combined over four decades of expertise worldwide in the development of major petroleum, mineral, and energy production projects from geology and exploration, Master Planning, detailed designs, construction, procurement, finance, management and operations. Stewart first cut his teeth working in remote mining communities in Northern Canada, including Flin Flin, Snow Lake, Lynn Lake, and Ruttan Lake Mines of Manitoba, explored and developed mining projects in British Colombia, Alberta, Ontario, Quebec, Saskatchewan and Labrador. Interop worked with mining giant Vale with the new government of Guinea (Conakry) to build educational programs, training programs, roads, and other facilities which will remain as a permanent legacy to help the people of Guinea. Stewart has 47 years of experience working at levels from underground mining, airborne geophysics to CEO roles and Board Chairman for several global mining companies. 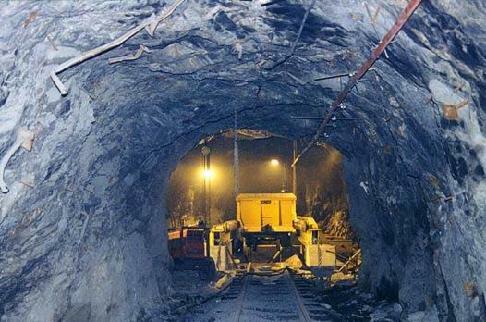 These include giants such as Hudson Bay Mining and Smelting, Sherritt International, Falconbridge, Bechtel Civil, Minerals and Metallurgy, RTZ, BHP Billiton, AngloAmerican and AngloAshanti, OMCO Copper Mine, De Beers and Debswana, America Mineral Fields, Hawk Uranium, and numerous other world class mining companies. Interop was on the original discovery team for one of the largest copper mines in Canada at Ruttan Lake, Northern Manitoba. Stewart is also currently assessing the prospect of bringing the largest POTASH deposit in the US into full production with the construction of an underground dry mine, a mill, refinery and infrastructure (road, rail, power, natural gas and water). 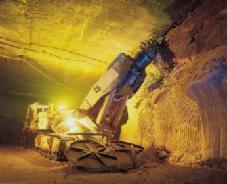 The project has the capacity of delivering potash fertilizers to half the continental US food production markets. Stewart is assisting Vale SA, Vale International SA and Vale BSRG - Guinea with the construction and implementation of the world's largest iron ore mine to be built in the Republic of Guinea-Conakry, in West Africa. 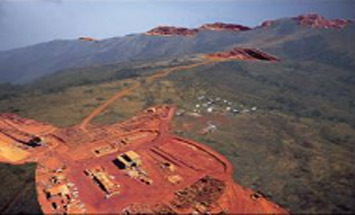 The Simandou I and II, and Zogota projects consist of three new iron ore mines located in what is considered the largest reserve of iron ore in the world. 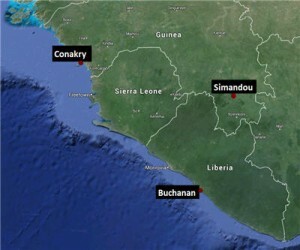 Vale will build two new rail lines running from Conakry to KanKan and from the Simandou area to the port of Buchanan in Liberia. Approximately 1000 miles of new and rehabilitated rail lines will be constructed. The project includes considerable new infrastructure to support the three open pit iron ore mines, mills, refineries, housing, educational and training facilities, ports, power projects, and telecoms, with a total project budget of +$8 billion. Vale has undertaken a very pro-active and forward-thinking strategy of contributing to the long-term sustainability of Guinea as it progresses in the 21st Century. Guinea has elected a democratic government under its new President, His Excellency Alpha Conde. 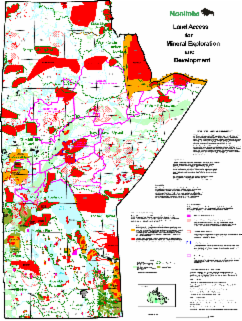 Stewart has assessed a number of greenfields exploration plays for gold/copper mineral properties in Mexico, Ghana, Colombia, Canada and the U.S.
As CEO of Hawk Uranium Corp. (Toronto) Interop undertook a detailed investigation of several gold mining properties throughout Ghana (Kibi District). 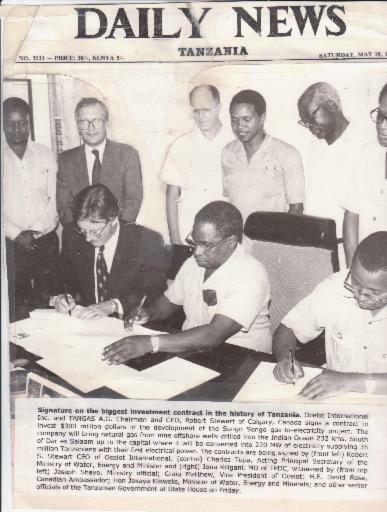 The acquisition of Tanga Cement from the Tanzania Government on behalf of Holcim AG, the world's largest cement producer, Thomas Schmidheiny, Chairman, Rapperswil, Switzerland. The contract for the construction of Murtalleh Mohammed International Airport, Lagos, Nigeria, on behalf of the Chairmen of Strabag AG (Koln) and Krupp Stahl GmbH (now KruppThyssen, Essen). He initiated the restoration and reconstruction of the landmark Swiss Chateau in Winnipeg, Canada called the "Pavilion in the Park" at Assinboine Park into a restaurant with the addition of an outdoor performing arts stage for open air summer performances. Stewart initiated and financed a dozen projects in Nigeria over 30 years including the construction of the national cellular telephone network for NITEL , the Murtalleh Mohammed Airport, Meridien Hotel (Lagos), Planning for the capital City of Plateau State (Jos), construction of the Savannah Sugar Project, Kiri Dam and many others ($2.5 bn). He represented the Chairman of Falconbridge in the sale of Kilembe Mines Limted and Cobalt Stockpile to the President of Uganda. 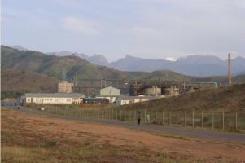 Stewart assisted in the procurement of materials and equipment for the construction of the OMCO Copper Mine in Sofar, Oman. This included a copper mine, mill, smelter, railway, slurry pipeline, roads, a townsite for 25,000 people, a co-generation power plant, a de-salination plant, and other infrastructure. The project ran continuously for 20 years and has since been converted in a port facility with an iron ore pelatizing plant owned by Vale SA of Brazil. Stewart represented the Chairmen of Krupp, Bechtel, Strabag, Sir Alexander Gibb and Partners (London), the Commonwealth Development Corporation (London) and Motorola. Stewart wrote the National Master Plans for the Reconstruction of the DR Congo ($50 billion) for Bechtel Corp., Botswana Development Plan (for Bechtel Corp.), and the East African Union (Uganda, Kenya, and Tanzania). As Chairman of America Mineral Fields Inc., he developed the world's largest cobalt stockpile project, the Kolwezi Tailings. As CEO of Franklin Telecoms, he operated the NATO Telecoms throughout Bosnia and Herzegovina, Kosovo and Macedonia. He helped to build the world's first VoIP long distance telephone network with Franklin and Justice Telecom Corp. Attended Annual World Bank and IMF Annual Meetings from 1976 - 2006. Frequently addressed the UN Annual Meetings of the UNCTAD (Geneva), WTO (Geneva) and was guest speaker at Crans Montana and Monte Carlo Annual CEO Summits. Former Canadian diplomat who represented his country at G8 summits, Commonwealth Heads of Government Meetings, UN, IMF and World Bank Summits. Wrote, contributed to or was the object of several articles in leading global publications including the London Observer, The Financial Times of London, The Times of London, Le Jeune Afrique. The Economist, the New York Times, the Toronto Globe and Mail, die Neuer Zuercher Zeitung, and the Winnipeg Free Press. 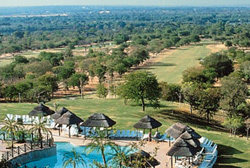 Initiated, designed and built the Elephant Hills Country Club, Hotel and Golf Course at Victoria Falls, Zimbabwe. This hotel hosted the 1991 Commonwealth Heads of Government hosted by Queen Elizabeth II. 76 Kings, Queens, and Presidents opened the hotel and attended the Summit. Initiated the $1 billion Songo Songo Gas Field Project, gas wells, pipelines, and power plants to generate electricity for the TANESCO National Grid in Tanzania. The project included drilling nine wells into the natural formation in the Indian Ocean, building a pipeline underwater and on land to the capital in Dar es Salaam, Tanzania, and the construction of a co-generation gas-to-electricity plant.